Philadelphia, PA / Ontario, California (February 10, 2017)–TONIGHT at the Doubletree Hotel in Ontario, California, two highly regarded prospects will be in action as undefeated featherweight Ruben Villa and Michael Dutchover will make their 1st appearances in 2017. Villa (3-0, 2 KO’s) of Salinas, California will take on 9 fight veteran Francsico Camacho, while Dutchover (2-0, 2 KO’s) of Santa Fe Springs, California will battle Jose Mora. 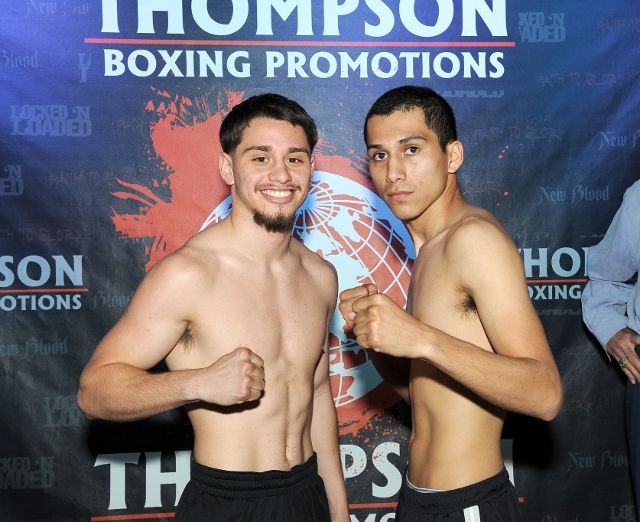 Villa and Dutchover are promoted by Banner Promotions and Thompson Boxing. Both fights are scheduled for 4 rounds. “Everything is going well. I had a great training camp. I sparred with (world title challenger) Oscar Escandon and Victor Pasillas,” said Villa. Being that it is Villa’s 1st full year as fighter, Villa has goals, both in this fight and throughout 2017. Dutchover, who turned professional on October 21st, is ready to start the year off in impressive fashion. “Training has been great. I feel strong and confident,”said the 19 year-old Dutchover. Like Villa, look for Dutchover to stay active in 2017.